Football great, Drew Pearson, was born January 12, 1951, in South River, New Jersey. 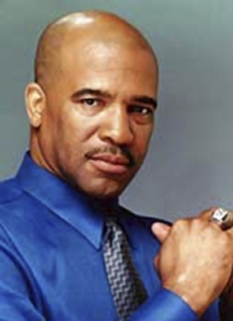 Drew Pearson is currently a sportscaster and former wide receiver for the Dallas Cowboys. Drew Pearson began his football career at South River High School where he succeeded Joe Theismann as the quarterback. 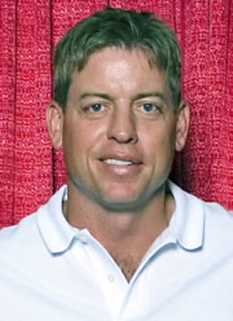 He attended the University of Tulsa where he caught 33 passes as a flanker for a run-oriented team. There he received the university's President's Award as the team's "best spirited and most unselfish" member. 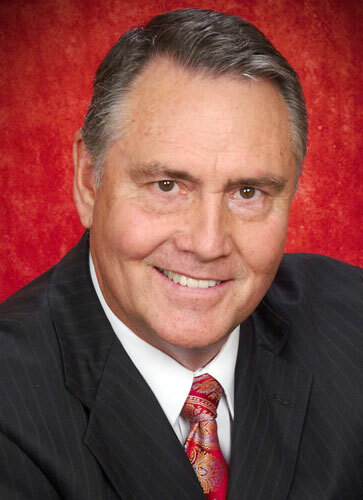 Pearson graduated from Tulsa in 1972. 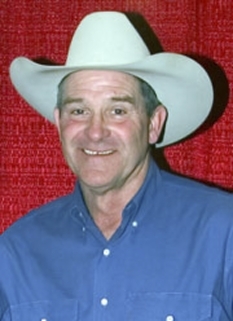 In 1973, Pearson was selected as a free agent by the Dallas Cowboys, where he rose to become one of the NFL’s greatest wide receivers, earning career records of 489 receptions and 7,822 receiving yards, along with 189 rushing yards, 155 yards returning kickoffs, and 50 touchdowns (48 receiving and 2 fumble recoveries). 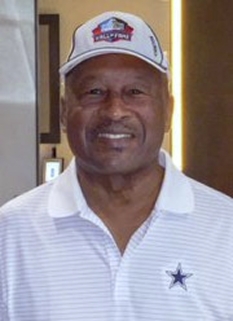 Pearson was named one of the Top 20 Pro Football All-Time Wide Receivers, he was also recognized for his achievements by being named to the NFL 1970s All-Decade Team. 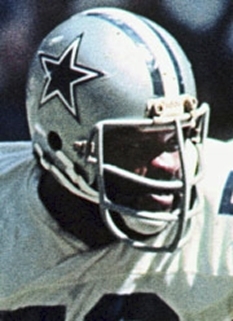 Pearson was named All-Pro 3 times (1974, 1976-77) All-NFC in 1975 and 2nd Team All-NFC in 1978. In addition, Pearson was a Pro Bowler in 1974, 1976 and 1977. Pearson led the National Football Conference (NFC) in pass receptions in 1976 with 58. He served as offensive captain for the Cowboys in 1977, 1978, 1982 and 1983. 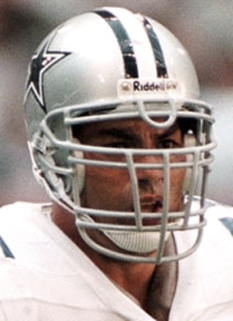 Pearson helped the Cowboys to three Super Bowl appearances and a victory in Super Bowl XII in 1978. He also scored a touchdown in Super Bowl X. In 1980, the Cowboys selected Drew Pearson as their nominee for NFL Man of the Year. Pearson is known around the NFL as “Mr. Clutch” for his numerous clutch catches in game-winning situations, especially the "Hail Mary" reception from Roger Staubach that sealed the victory in a 1975 playoff game, one of the most famous plays in NFL history. Caught the game-sealing touchdown in 1973 playoff game against the Los Angeles Rams. Caught the game-winning touchdown pass from reserve quarterback Clint Longley in the 1974 Thanksgiving game against the Washington Redskins. All three of those plays were named among the Top 75 plays in NFL history by NFL Films in 1994. All were included on a video/DVD by that name. In addition in the 1980 playoff game at Atlanta, Pearson's clutch receptions helped win that game in a comeback by the Cowboys. 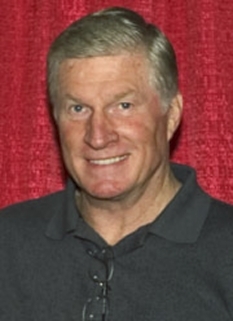 Since his retirement in 1983, Pearson has worked extensively as a sports broadcaster for such networks as CBS and HBO; he previously hosted the Dallas Cowboys post-game show. 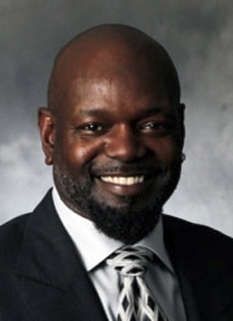 He is also the CEO of Drew Pearson Companies, a manufacturer of licensed headwear since 1985. DISCLAIMER: PFP Sports Talent Agency does not claim to represent itself as the exclusive agent for Drew Pearson. PFP Sports Talent Agency is a booking agency that represents organizations seeking to hire pro athletes and sports personalities such as Drew Pearson for speaking engagements, personal appearances, product endorsements and corporate entertainment. Fees on this website are estimates and are intended only as a guideline. Exact fees are determined by a number of factors, including the location of event, the talent’s schedule, requested duties and supply and demand. PFP Sports Talent Agency makes no guarantees to the accuracy of information found on this website and does not warrant that any information or representations contained on this website will be accurate or free from errors. We are often asked how can I find out who is Drew Pearson's agent? To find Drew Pearson appearance fees and booking agent details, you can contact the agent, representative or manager through PFP Sports Talent Agency for speaking fee costs and availability. PFP Sports Talent Agency can help your company choose the ideal sports personality for your next marketing campaign. To hire Drew Pearson for an appearance, speaking event or endorsement, contact Drew Pearson's booking agent for more information.